After having discussed the best models of APS-C DSLR cameras, here is our buyer’s guide for digital full frame models. Full frame cameras have a 24×36 mm format sensor which provides superior image quality; they are also built to provide good long-term performance. This past year, no revolutionary technology has been released as far as full frame cameras are concerned, except for the fact that sensors without low-pass filters have become a standard feature. There is however a race going on, a race for increased performance and Nikon is currently offering no fewer than five full frame DSLR cameras! Competition is fierce and it is leading to the development of ever more powerful cameras. Why buy a full frame DSLR camera? Before presenting the different available models, let’s take another look at the characteristics that make full frame DSLR cameras so interesting. For starters, the surface area of this type of camera’s sensor is more than twice as large as that of an APS-C sensor (24×36 mm versus 16×24 mm). This makes it possible to have many pixels which translates into higher resolution (such as the Nikon D810’s 36 megapixels) – it also means better image quality. Indeed, at the same definition, the larger the camera’s sensor, the more spread out the photosites (the sensor’s pixels) will be. In this way, they will be able to absorb more photons during exposure which implies better sensitivity and a superior dynamic range. With a full frame camera, the depth of field is also shorter, which will give you a much more harmonious bokeh (artistic blurring effect). In addition to the differences between these two types of sensors, full frame DSLR cameras have bigger and more comfortable viewfinders, making it possible to full enjoy and appreciate the framing process and the image’s depth of field (remember to use the depth of field meter). The build-quality of these cameras is also superior to that of APS-C DSLR models, with a more robust case (sometimes even metal, although the newer full frame DSLR cameras are using lighter composite materials such as polycarbonate or carbon fiber), advanced weatherproofing and a shutter which has been tested to hundreds of thousands of releases. A final point worth mentioning is that there is a wide range of lenses available to this type of camera, and it may even be possible to use all of your old film camera lenses too. I say it may be possible, since in the best case scenario these lenses will require that you focus manually and in the worst case, they will not even been compatible with the latest generation of sensors and not produce a very sharp image. One thing is for certain: when dealing with a full frame camera, there is no multiplication factor for the lens. 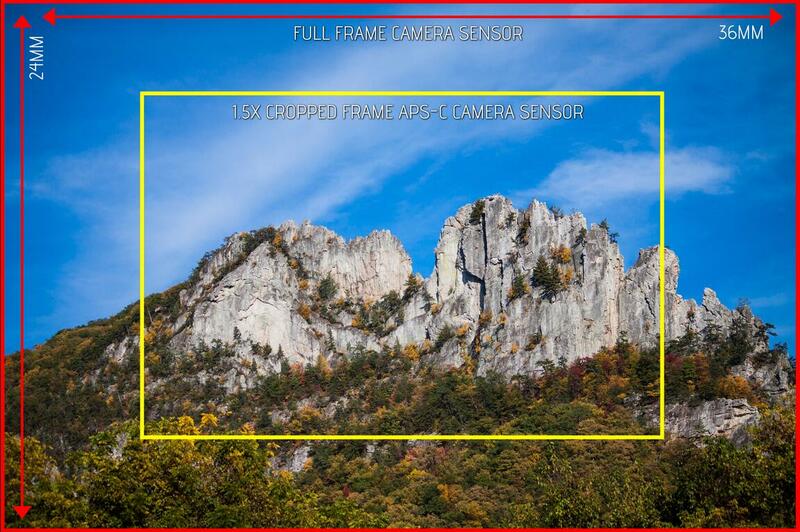 With a full frame sensor, it is possible to get a wider angle with the same lens compared to any other type of camera. A 50 mm remains a 50 mm lens, whereas on an APS-C sensor, it becomes an 85 mm lens. This is certainly an advantage when using very wide-angle lenses, but it becomes somewhat problematic if you are interested in nature or sports photography, since a 200 mm lens will give you a focal length of 200 mm and not 300 mm. If you choose to buy a Nikon camera, you should also be aware that it is possible to use the lenses designed for APS-C cameras (called DX) – at the expense of some image cropping. Unfortunately, with the other manufacturers this is not an option. Lastly, you should realize that lenses designed for full frame format sensors are more expensive than those designed exclusively for APS-C sensors: you can read more about this in our (upcoming) buyer’s guide dedicated to lenses. While full frame cameras remain relatively expensive, they have never been as affordable as they are nowadays – even brand new. It is possible to find cameras starting at 1400 dollars, or for even less if you search hard enough. 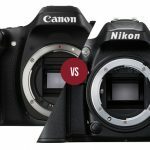 In the segment of the full frame DSLR camera market geared towards the general public, both Nikon and Canon are on an equal footing. The Nikon D610 has the same characteristics as the D600, with the exception that it is now resistant to dust. For its price, which is entirely reasonable, it offers disproportionately good performance (1496 dollars, lens not included). What’s more, it is much more light-weight and versatile than the more demanding D810 and similar models. In the end, the Nikon D610 is something of an over-sized D7100 to which Nikon has grafted the sensor of an under-sized D810: 24 megapixel full frame sensor, capable of capturing 6 images/second in burst mode. 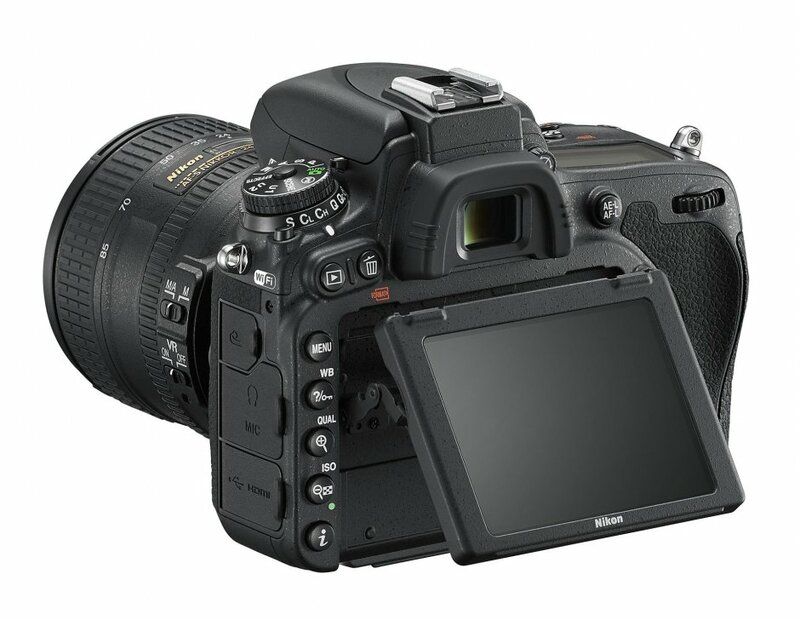 It also has a powerful autofocus (a cross between the one used on the D7100 and the D4s), a 100% viewfinder, an integrated flash, dual SD memory card slots and Full HD video recording capability – up to a framerate of 30 images/second… Its capacity to increase its ISO sensitivity is also remarkable – similar to the D810’s ability – with very well-managed digital noise (the same amount of noise appears softer and more diffuse on the D610/D810 compared to the competition). Lastly, in conclusion, Nikon offers an intermediate 24-85 mm f/3.5-4.5 lens, a good compromise between the DX and the high-end FX lenses (nevertheless we recommend that you do your utmost to equip your camera with high-end lenses). 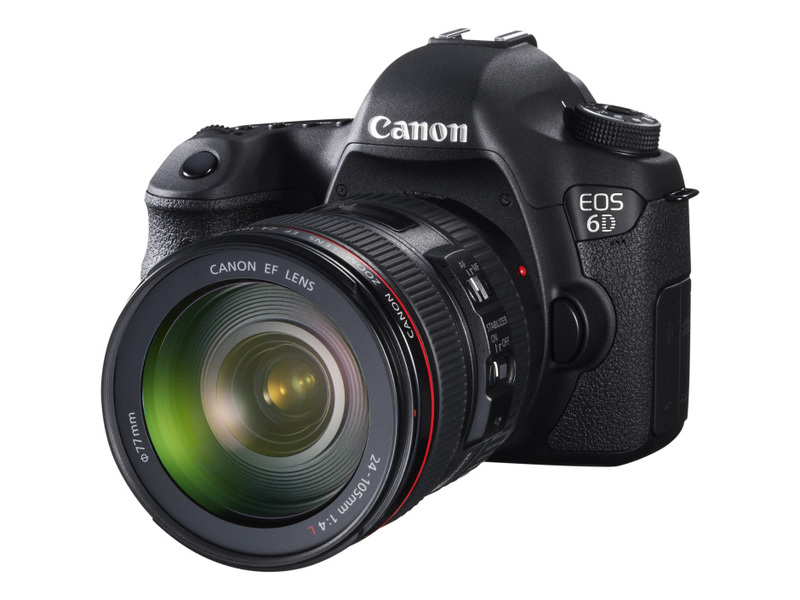 The Canon 6D is very seductive, it also has everything anyone could want in a camera. A little bit more expensive than the Nikon D610 (from 1399 dollars – lens not included, and in a kit with a 24-105 mm f/4 lens for 1799 dollars), it has a 20 megapixel full frame sensor – somewhat fewer pixels than its competitor, the D610, but it sets itself apart from the latter by having WiFi capability (which notably allows for the remote control of the camera and its GPS). It “only” has a 97% viewfinder and, as is often the case with Canon cameras, this model does not have an integrated flash. Just like the Nikon D610, the Canon 6D handles increases in ISO sensitivity quite well. However, this Canon camera only has one SD memory card slot, which is a shame since its competition offers two. If you are considering upgrading your gear and acquiring a full frame camera, make sure that the lenses you own are of good enough quality and are compatible with this type of camera since they are extremely demanding (large sensor and large number of megapixels). If you are exacting, and you interested in using a full frame camera without sacrificing any quality or responsiveness, here is a selection of cameras which have been designed for maximum performance. Released in 2011, the Canon 5D Mark III is still going strong. This camera had the difficult task of becoming the successor to the excellent 5D Mark II which is no longer discussed. It managed this feat remarkably well by improving certain aspects such as its autofocus and image quality in low light situations. Equipped with a 22 megapixel sensor, a 6 images/second burst mode and a 61 collimator autofocus, this camera has gained popularity with photojournalists for example; its comprehensive settings and performance in video recording mode make it a suitable tool for professionals. It is however lacking a few elements compared to its competition, such as a built-in flash or WiFi capability. 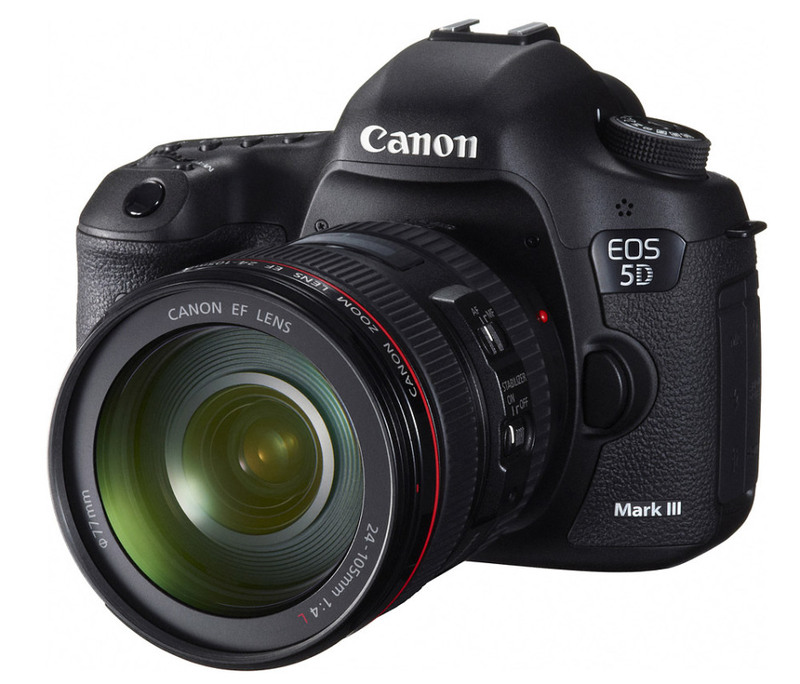 Despite its age, the 5D Mark III is not inexpensive and can be purchased, without a lens, starting at 2299 dollars. In our opinion, it is slightly too expensive compared to its more modern competitor (D750), but if you are a Canon aficionado, there is no doubt that this is an excellent camera. 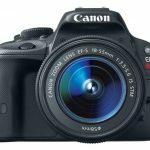 In August 2016, Canon launched the Canon 5D Mark IV. This camera reaches new heights of performance with its 30 megapixel sensor – versus the 22 megapixels of the previous model, a Dual Pixel autofocus, the ability to record video in 4K definition, a rear-facing display which has become a touchscreen on this model as well as different options borrowed from the EOS-1D X Mark II. 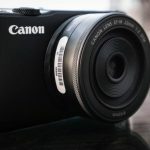 Unfortunately, its price, which is over 3299$, forces us to conclude that the Mark III should be sufficient for anyone who does not have the specific need to record video. By saving the more than 1000$ which separates these two models, you will be able to afford a high-quality lens, a much more sensible option. First launched at Photokina 2014, the Nikon D750 is a very nice surprise indeed. Fitting into the full frame reflex camera product line between the D610 and the D810, it is both more compact and more light-weight than the D610, it is also superior to the D610 in all regards: 6.5 images/second burst mode, fast and sensitive (up to -3IL) autofocus, quieter shutter release, a display which pivots over 90° as well as WiFi capability. It reuses the same 24 megapixel sensor as the D610, but it is an improved version, and coupled with its Expeed 4 processor, this camera is able to produce excellent image quality up to 12 800 ISO. As far as autonomy is concerned, the D750 is able to take more than 1000 photos on a single battery charge: Nikon chose to use the EL-EN15 battery which is already used on a number of its other devices – good news if you already own any of these batteries. Could this deceptively simple looking 24×36 mm DSLR camera be the perfect mix of features between the D610, the D810 and the D4s. With it, has Nikon created its new versatile camera, a worthy successor to the D700? All that remains to discuss is its price, and once again we were pleasantly surprised by it: the D750 can be bought, without a lens, for under 2000 dollars. Sony and its A7 product line, what about these full frame hybrid outsiders? Ever since April 2013, Sony has been upsetting the established order of things with its hybrid format, full frame sensor cameras. The trio: A7 II/A7R II/A7S II is promising, and we will speak more about them in the buyer’s guide dedicated to hybrid cameras. 12, 24 or 42 megapixels, depending on the version, in a very compact case, they are viable competitors to the already well-established reflex cameras. You can check out our test of the Sony A7 II – the version with the 24 megapixel sensor. 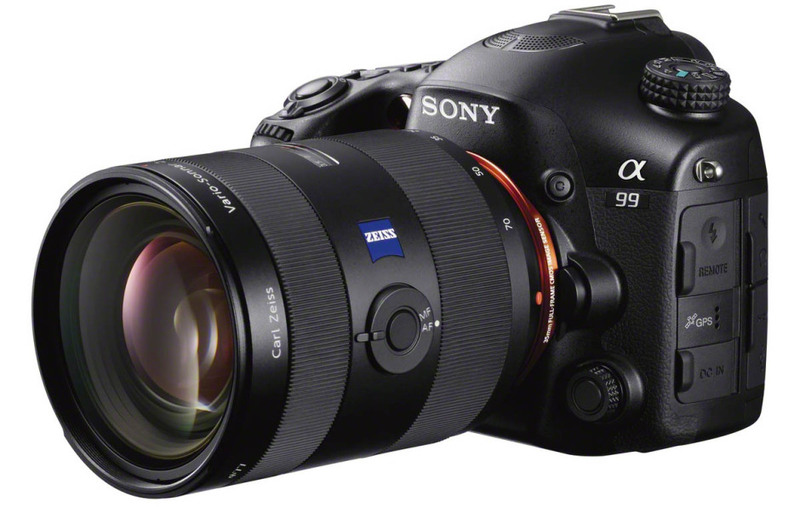 If you are looking for a more traditional full frame reflex from Sony, this manufacturer also offers the Alpha 99 model (version II has just been announced, but it is too expensive, retailing for around 3600€). While it is at the same level as its competitors in terms of functionality, it is deficient in one key area essential for photography: the viewfinder. 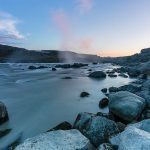 The electronic viewfinder of this line of products is a serious obstacle for many professional photographers, and its limited selection of lenses doesn’t help either. It’s a real shame since Sony certainly has a part to play in the full frame segment of the market; it will probably do so with its A7 product line rather than with its Alpha 99 model unless an upgrade of some kind is released this year. The Alpha 99 can be purchased without a lens starting at 1998 dollars. 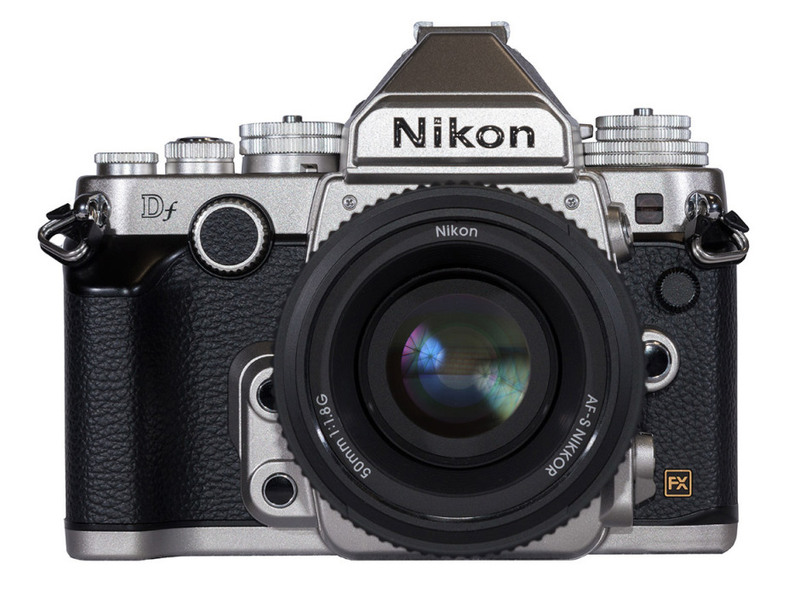 First announced at the end of 2013, the Nikon Df is a full frame camera with a retro look. Its image quality is excellent, especially in low-light conditions, but in terms of the rest of its features, it seems to us that Nikon created this product for a niche market of photographers looking for a modern camera with a decidedly retro look and ergonomics – and for whom having a nice looking camera is as important as what it is able to do. Available in a limited edition kit with a 50 mm f/1.8 lens from 2996 dollars, this camera has one advantage: its retro look allows it to fit in anywhere. 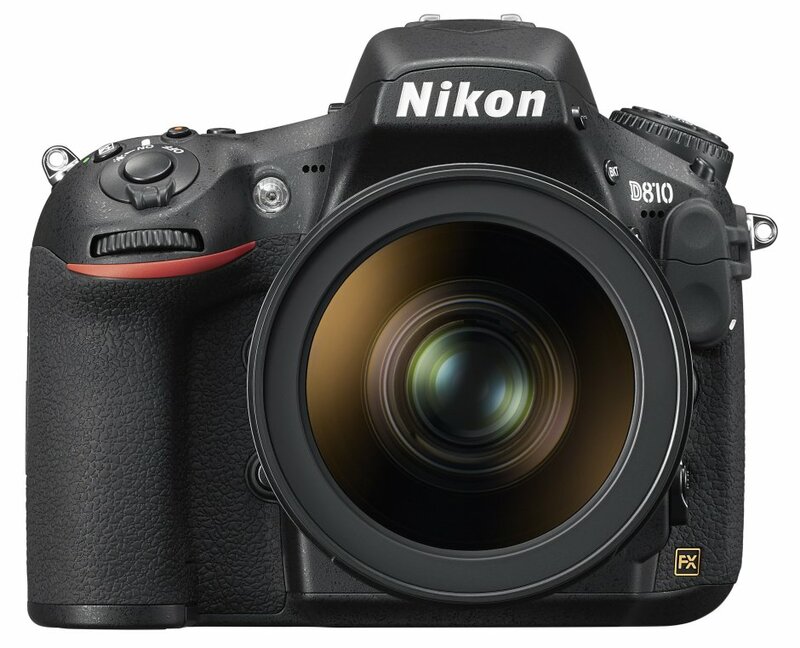 When it was released, we were a little worried that the Nikon D810 would only be a slight improvement over the D800/E. But, this was not the case, the D810 improved in many areas: in terms of responsiveness, image quality, digital noise management, autonomy as well as in the addition of new video functionality. The fact that it has done away with a low-pass filter and has improved its shutter release mechanism means that it is capable of producing even sharper images than the D800, without necessarily needing to use fast shutter speeds. While the release of this camera was one of the best things to happen in the photography world in the middle part of the year, the arrival of the Nikon D750 was a game-changer, with its more affordable price and lighter weight (it also has fewer pixels). And yet, the D810, with its 36 megapixels, is still an ideal solution for demanding photographers who are looking for optimal quality. 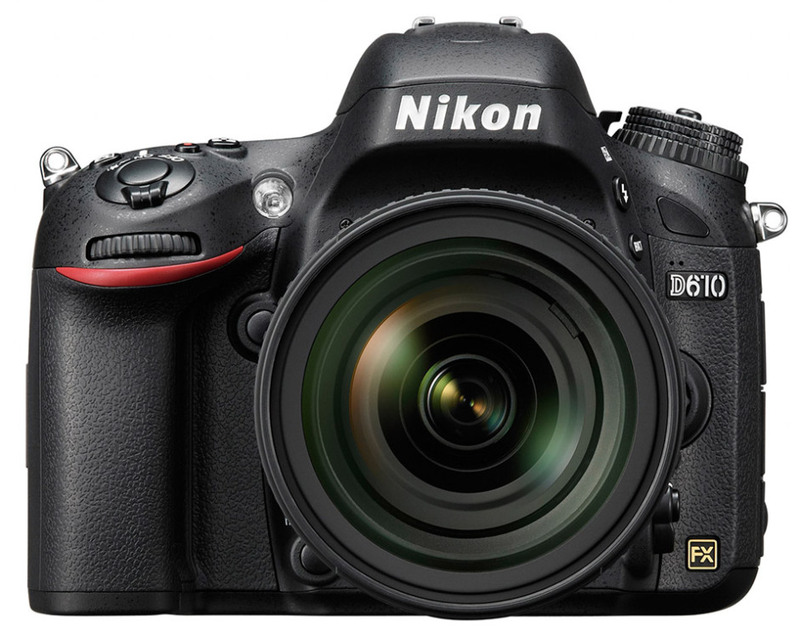 The Nikon D810 is available without a lens starting at 2796 dollars. As you can see, there are more and more full frame DSLR cameras available on the market, and their overall quality is improving quickly – which is great news for photographers (and for our bankers who won’t have to lend us so much money). As usual, we won’t be discussing cameras such as the Nikon D5 or the Canon 1Dx Mark II, since, in our opinion, they are exclusively geared towards professionals, and, since we have never tested them, we would not be able to give you accurate recommendations concerning this type of camera. Next Nikon D7500 vs. Nikon D500: what’s the difference?